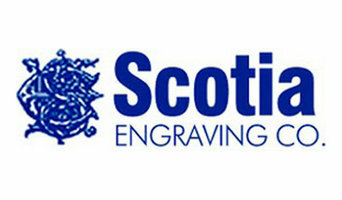 Scotia Engraving Co. offers a comprehensive and specialist engraving service, along with awards that are designed, constructed and engraved with care. From custom-designed trophies to accurate inscriptions, our talented engravers can complete all your requests quickly for your convenience. We can supply and engrave: Metal plates Trophies and cups Plaques Glass and crystal awards Corporate awards Medals Ribbons Custom awards As South Melbourne’s team of registered engravers, we can engrave just about any subject matter, including sporting club logos, company logos, and family crests. Melbourne Altitude Training happens to be one of the very few services out there that prides itself on specialising in a large variety of different high altitude training services such as altitude cycling as well as the availability of wattbike in melbourne, to name a few. Not only are most of our services feasible for all, but they are quite affordable as well. We understand each and every person’s fitness levels and how to bring those levels up to maximum. Do give us a call at the very earliest and we shall take it from there. Outdoor instant shelters is a leader in providing marquees an pop up gazebos in Melbourne and surrounding suburbs. Look no further for a marquee tent or marquee gazebo. We provide various products like folding marquees, branded marquee or some printed marquees and shelters for schools, sporting clubs, small businesses, market and exhibitions. All of our folding marquees and pop up shelters are 100% water proof, mildew proof and offer 99% UV protection. Does your next Melbourne event need a portable gazebo or how about setting up a canopy outdoor? Outdoor Instant Shelters are Parasols & Gazebos experts. Our range of lightweight & durable alloy folding instant marquees range can be erected in minutes. For all your pop up marquee needs call on 1300939629 or more info visit our website. Infinity Gymnastics & Dance Classes Melbourne has an established system that enables them to give services that will upgrade the lives of their clients. Infinity is committed to bringing complete gymnastics and dance experts options that our clients deserve. If you want to have a successful company, you have to ensure that you keep your customers happy. Failing to meet their product and service expectations results in customer loss and damage to your company's reputation. Superior feedback on your baby gymnastics classes is more accessible to gain when the very best quality service is given to customers. Keep reading for some proven suggestions for building your hip-hop dance classes by meeting or exceeding customer expectations. Many customers check out a company's online reviews before they visit a store or perhaps a website. An excellent option to improve the quality of your online reputation is to, in a well-mannered way, prompt your customers to post comments concerning your goods and services on your web link, allowing potential clients to can gain insight into the way your gymnastics classes works. It is best to show reviews that emphasize your strengths and your best products. Reward customers who review your goods and services through discounts and special offers. Whether you want to shoot hoops with friends or plan a safe kids play area for your little ones, there’s a Craigieburn, Victoria professional on Houzz that can help you turn your backyard dream into a reality. What can a sports court and outdoor play specialist do? Sports court and outdoor play specialists in Craigieburn, Victoria design, install, repair, resurface and replace sports surfaces, including tennis courts, basketball courts and playgrounds. They have a thorough knowledge of sport rules, regulations and standards, such as court dimensions and net heights, and are required to stay on top of the latest sporting technologies and flooring systems. They can assist with planning and council approval before construction begins, as well as other unforeseen requirements, such as drainage and retaining walls. Aside from surfacing, they can also provide lighting, fencing and equipment to complete a recreational area. Planning a playground or outdoor play gym for your little ones? Safety is likely front of mind, especially for structures that are designed for them to climb on, swing from and jump over. Professionals in this category can design and build custom playground equipment such as playhouses, swing sets, slides and cubby houses that are solid, secure and will withstand heavy use. 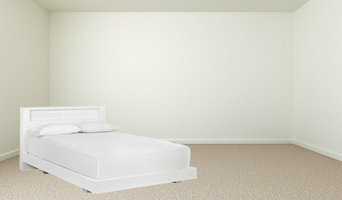 Often tricky to assemble, they can also install off-the-shelf units to ensure uncompromising safety. Consider utilising a professional to design play equipment that encourages learning and social interaction, too. Here are some related professionals and vendors to complement the work of sports courts: Outdoor Play Systems, Landscape Contractors & Gardeners, Building Project Managers. Do you have any experience in the sporting industry? Find a sports court and outdoor play professional on Houzz. Scroll through this page to find professionals that specialise in playground and sporting surfaces in Craigieburn, Victoria, as well as play equipment and accessories. You can browse their latest projects, read reviews to see how other homeowners rate their work, and message them directly.